The millennial generation, born 1980-2000, represents the single largest generational group in history. In the coming years, millennials will make up over 50 percent of the workforce while earning more than any other generation. In their prime spending years, their buying power will be as impressive as their social influence. When targeting millennials, it’s important for brands to understand how they are marketing-savvy, technologically advanced, and globally connected consumers. They have the potential to determine the success of your brand, but do you know how to reach them? In the next BrandSquare webinar, join our Jean-Christophe Estrampes, as he reveals how millennials interact with brands — uncovering four key trends that can guide us in designing meaningful branding. Be sure to register and tune in Thursday December 15, 2016 at 1-1:30 ET. 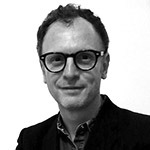 About Jean-Christophe Estrampes: Jean-Christophe Estrampes, Director of Strategic Planning at Brandimage Paris, is an expert in brand positioning and visual identity consulting in both luxury and mass-market segments. With a DEA in Political Science and a M.A. Public Law, Jean-Christophe has 20 years experience in driving innovation, concept ideation and brand workshops, building on his outstanding insights on trends and analyses of major social and marketing evolutions. Together with the Brandimage team, he helps companies build efficient brand platforms and meaningful design programs that drive brand performance.